I've had a rough couple of months this year. It started with the passing of my cat, and just when I was getting back into shape mentally I lost my grandmother. I got two new cats (one in memory of my grandma because she loved the balls of fluff and claws) and then had to deal with repeated health issues with both of them. All of these things took a toll on me - mentally, physically and financially. It was no wonder that with the added pressure of trying to get blog posts out in time with a self-set schedule that I just ended up burning out. In general I feel that burn-out is something that comes in cycles, like a lot of mental and emotional experiences. I've dealt with burn-out at work, burn-out with friends, and I've had brief bouts in the past dealing with blogging burn-out, though generally I'm able to pull myself out of them after a while. But this time was different. It hit me harder, longer, and more intensely than it ever has before. As mentioned earlier a big reason for this was probably my personal situation, but I've also been blogging for over 3 years now so that took it's own toll. Why am I telling you all of this? Well, I thought it would be helpful for you to know the logic behind why I decided to put this post together. This is a run-down of what I have personally found helpful in coping with my burn-out, and what has helped me to get everything back on track and to re-discover my passion. 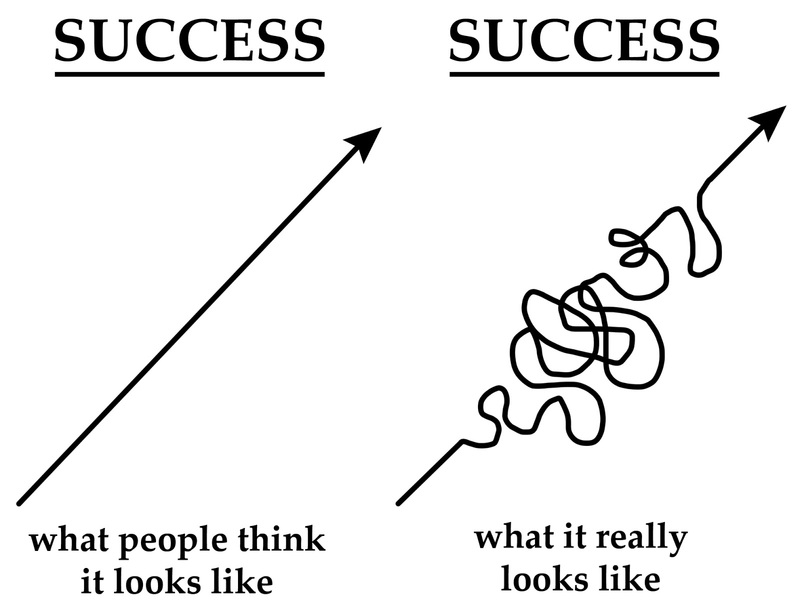 :) And hopefully any of you who are dealing with burn-out as well will find this helpful! The first step towards dealing with a problem is acknowledging there is a problem, right? It was hard for me to accept that I was burned out and so I just kept being hard on myself each time another day passed without a post. "There is no reason I shouldn't have a post ready!" / "Why haven't I edited these OPI Color Paint swatches yet!" Recognizing there was an issue and that I was hella burned out allowed me to pull back and say "Okay, this is an issue. What can I do about it?" From Demetri Martin, "This is a Book"
After I recognized there was a problem I had to pull back for a while and allow myself space to breathe without the pressure of writing posts. I told myself "It's okay to take a break, I need to focus on myself and where I want to go with all of this for a little while." One thing I would suggest when you do this, though? Make sure to communicate it to people you're involved with. I had more than one collab project on the go at the time, and by taking a step back I just left those things hanging which resulted in more than one person likely thinking I just flaked off. :( Communication is important! It's easy to forget just what it is about blogging that you enjoy, especially if you're not actively doing it. When you're ready find something small you can push yourself to do that will give you a little taste of progress! It might feel hard to do but I promise it will be worth it. Brainstorming posts, editing a picture, or even buying a new bottle of nail polish can help. Progress is a series of little steps, right? For me this was sitting down to photograph a review for a cuticle oil - it didn't require my nails to be done, I didn't need many pictures, and I could just follow the review template I'd used previously. Well, I finished that in about an hour and at the end went: "Huh! That wasn't as bad as I thought it would be. It was even kind of fun! ... Maybe I'll just do one other post." And three posts later I had remembered that I could do this and that I really enjoyed it! I'll be honest that this is one where I didn't explicitly follow my own advice. I don't have many close blogger friends (which is who I would have liked to have gone to for something like this) but I did notice a lot of discussion about burn-out in the blogger groups I'm involved in on facebook around this time. So I read what others had to say and participated a bit, and even that small interaction helped to remind me I wasn't the only one who felt this way and that there were lots of people who got through it - which meant I could, too. This was a huge help for me, to be honest. Similar to talking to someone, getting more involved in the community can help you feel connected and less alone. I joined a guest post link-up, looked into nail art challenges that were starting soon, and made plans with myself to reach out to people to do twin nails. It also helped to get more involved with social media and to build up those connections so that I had interactions to look forward to. Sometimes when your inspiration is down (which is something I find happens a lot when I'm burned out since I don't have the energy or patience to be creative) you need something to pull you out of the rut - either something easy, or something different. For me it helped to do something easy that didn't require much inspiration, so I started with a recreation of an old mani. I already knew the technique, I already knew the design, I already knew the colours. It really helped me to get back into the rhythm! 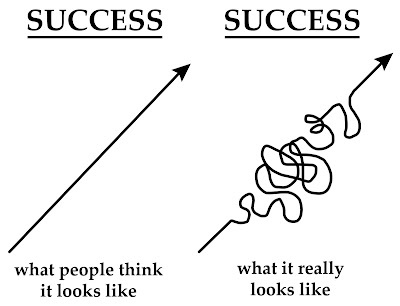 And if that doesn't work for you, maybe it would be better to try something completely new - try a technique you've never done before, or a design you've seen a lot but never tried yourself. I don't think burnout is necessarily something you entirely "come back" from, but rather it's something you'll probably cycle through periodically. I know for myself I've still had some days or weeks that are more difficult than others, but that's all part of the process. This is a nice analysis of the situation. I find myself burned out mainly when I am physically unwell, tired, when people are fighting in the nail community, or something is challenging in my life that takes my energy. Most of the time I just have to tell myself to buck up and do something, or if it is physical fatigue I may give myself the permission to go straight to bed without blogging. It is rare that I get to bed before midnight since blogging takes a lot of time! I hear you. My mental and physical health comes first, too. And if I'm feeling burned out in any way in tends to be the blog that is put on the back burner first. People really don't realize how much time and energy blogging can take! This is such a great & well written post. Thanks for putting it down on paper and sharing it with us! This post is really helpful! I definitely agree that burnouts come and go in waves. I've been blogging since August 2014 and I've already gone through 3 burnout cycles, and I almost entered another one at the end of October. I was doing a nail art challenge and, even though it was only every 3-4 days, that was still way more posts per week than I usually do and it was really starting to get to me by the end of the month. I'm back on my regular schedule now, glad to have avoided another burnout in such a short time. 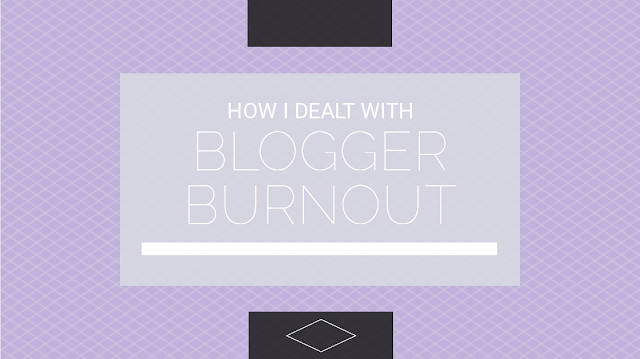 This post is really helpful, not just for the next time I burn out (which I'm sure is inevitable), but to know that other bloggers experience the same kind of thing! Thank you for sharing your experiences.